2) Clicking the "V" button for Base Compatibility opens a window that cannot be closed if there are no supported geometry files in the product. The only way to get out of this window is to use the Task Manager and kill the CDDS.exe process. 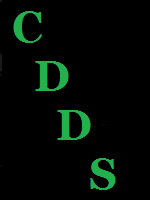 3) The CDDS program requires Compatibility to be set for ALL Assets. In fact some Assets DO NOT need to have Compatibility set. This is true for Lights and also for Render-Settings. This results in another situation where it is necessary to manually edit the Store_123456_Product_Name.dsx file to remove the Compatibility section for those items. If the Compatibility isn't removed then the Lights and Render-Settings only show up for /Genesis 3 or whichever other Compatibility is set. Then the ObjectCompatibilty section has to be manually added to the completed .dsx file. Also the duplicate Compatibility VALUE="/Genesis 3/Female" has to be manually removed. This problem could probably be solved by having an alternate Base Compatibility box in the program. Maybe you could call it "Character Base Compatibility" or something similar. Perhaps a dropdown Selector could list commonly used Character base compatibilities. Maybe there can be some kind of feature to read Custom_Character_Compatibilities.txt? Currently the metadata works in Daz Studio without the "/" but it should be corrected anyway. Thanks, I do fined you feedback very useful. The currant smart content tab is still a ruff drift of the first working setup. As I said do to the lack feedback it never changed much. It was designed using clothing and that's as far as it got. I'll get the bugs you reported fix and add your request before I start on changing DIM specification you machined in your last feedback as that will take some time to do. Thanks for your efforts! I'm very happy that you are continuing to work on this. The Smart Content Tab seems to have the features it needs for any product that that uses DS compatible geometry files. I've used it on props and a couple of environments and it isn't any different than using it with wardrobe. So basically it just needs the bugs fixed to be good for that type of content. Compatibility with Poser format products would be nice but I suspect would be much hard work. Instead of just finding the geometry files in the /data folder you would need to read the ObjectCompatibility values from the poser files. Or possibly the .obj files. I thought of doing some poser format products manually but I gave up when I realized that the ObjectCompatibility values are not taken from the filename of the .obj file. I don't really know how you get ObjectCompatibility VALUE="#object_1295" for Object.obj and it seemed a bit beyond my abilities. But there are many nice Poser format props that work good in DS and many even have Daz mat files. And of course there are many thousands of Poser format items and characters for V4/M4 etc. So I guess that it would be handy to be able to do Smart Content for those things. I'll leave it to you to decide if that is worth adding to CDDS. You're welcome, As long as I get feedback on CDDS I happy to continuing to work it. Characters and Lights shouldn't be hard to add support for. I'll check on it after I fix the bugs. It maybe easier to add when I changing DIM specification update. I will look into supporting Poser files. But again that maybe easier when I do the changing DIM specification update.